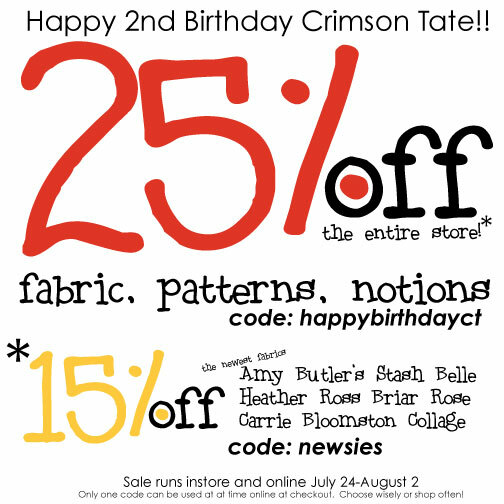 BIG BIRTHDAY SALE @ CRIMSONTATE! Here’s a photo of our space three months after we opened. But this time, it isn’t just me that’s saying it. The past two years wouldn’t have been possible with out my faithful sidekicks David and Melissa. Nor without the help in transporting of all the diet cokes random strangers will bring or the kindness of my parents, Jack and Cathy, our AMAZING IT GUY who overwhelms and surprises me often, my deary-lou Jamie who makes dinner most nights and has adjusted to eating that dinner at 9:30 PM, our KFC & DJ for their consistency in working toward our vision, our dear friends at Silver in the City, plus the countless others who play with us on Mass Ave. Obviously, the list can go on and on. Get down to 845 Massachusetts Avenue and celebrate!! We’re open SEVEN DAYS A WEEK!! If you can’t make it down, you can now shop 24 hours a day at crimsontate.com. Wooowee!! Thank you as always for the comraderie and friendship. Tell your friends! Tell your neighbors! It’s time to CELEBRATE! What’s on sale?! Liberty of London, Echino, Erin McMorris, Parson Gray, Birch Organic, Monaluna Organic, Lotta Jansdotter, Denyse Schmidt, Anna Maria Horner, RJR Solids, Melody Miller, Amy Butler, Carrie Bloomston, Heather Ross ———-> oh wait! The ENTIRE STORE is on sale!!!! At the crimsontate.com checkout, you’ll be asked to enter a discount code. Only one of the codes (happybirthdayct or newsies) will work. You’ll need to decide which code is appropriate for your cart. Everything in the store is 25% off with the code happybirthdayct except for the newest collections from Heather Ross, Amy Butler, and Carrie Bloomston (Such Designs). If you want to use both codes, you’ll need to have two separate transactions in order to benefit from both codes, just make sure you separate the items. 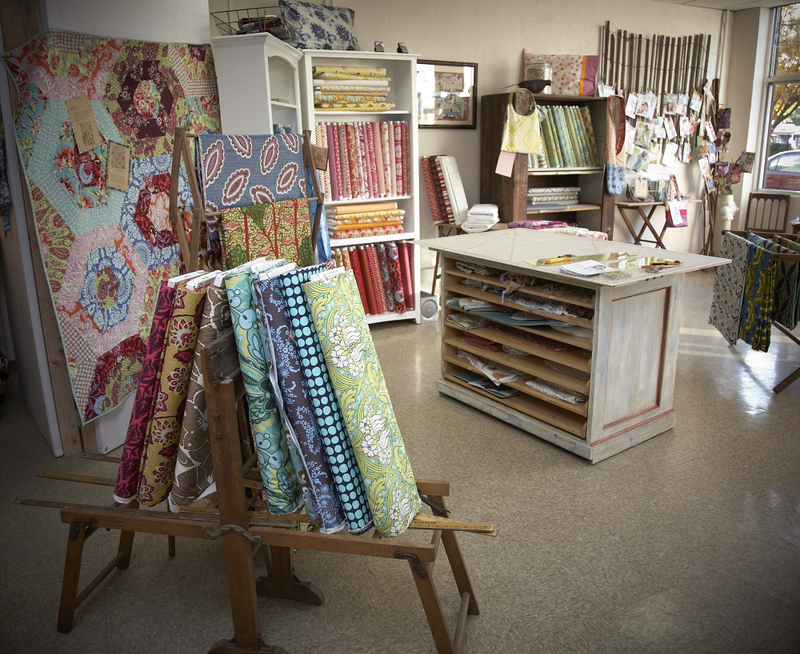 Shop often. We don’t mind. But unfortunately, we can’t apply both codes to one cart. We won’t be able to go back and manually change that code for you. Sorry! So filler up TWICE! Or three times, for good measure. We super love that you’ve chosen in-store pick-up! Please give us 24 hours to pull your fabrics, notions, and goodies. We look forward to seeing you in 24 hours Downtown Indianapolis. By then, we’ll have your goods ready to go. If you won’t be able to make it downtown for over a week, let us know so we can keep your goods organized and not front and center. We’d rather not shuffle ’em around too much. Give us an estimate of when you’ll be in and we’ll bring your purchases out from their secret hiding place. I mean, they’re precious, right?! Quilt CAMP!! Quilt Camp!! A boom-chicka-boom!! Karen LePage is COMING HERE TONIGHT!! !